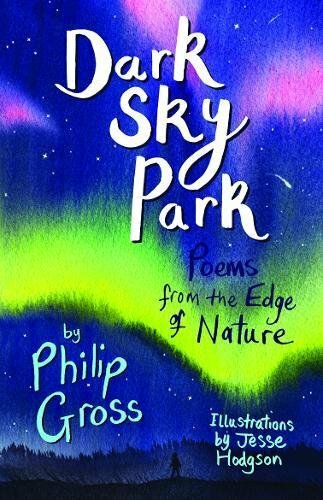 If you are going to extreme places, like the very depths of the sea, say, and fancy doing extreme things, like lava boarding on a volcano, and you feel you need a poet as guide and companion, then the award-winning Philip Gross is the obvious choice. At home with either adults or children, his verse is so sure footed that he can take you anywhere in perfect safety, clinging with a young kittiwake to a perilous cliff edge or cat cautious through the battered deserted streets of Aleppo. So many kinds of extreme here: like the world of the tardigrade. Look it up or, more properly, down - through a very powerful microscope, he returns to it often, finding different facets of its largely invisible nature to fire his and our imaginations. He’s not there for the sheer excitement either. He wants you to think. What about the snow leopard chasing the goat across the mountain edge? Why are we 'so in love with beauty, with its claws and teeth,/as though this is its story, and not our own and the goat’s – that plucky comedy/played out through centuries/ between the sheer drop and the killing snow?' And what about Uncle Bradley who takes moderation to such extremes: 'Trying not to climb higher than anyone else/ he went right over the top.' These are poems whose wonder at the world is conveyed in images that seem both fresh and absolutely right and often display a sly and subtle humour. This is another winning collection from Otter-Barry books, who are building an enviable list of some of the best of today’s poets for children.